Norwegian authorities have revealed that several Middle East refugees set to be granted asylum in Norway under a UN program have links to the Islamic State and Nusra Front extremist groups, media reported on Monday. "Unfortunately, there are people who try to exploit and abuse the refugee system. We have uncovered some quota refugees with links to the Nusra Front and the ISIL," police superintendent Svein Erik Molstad said, as quoted by theDagbladetnewspaper. During two trips to the Middle East, Norway's PST police intelligence unit discovered up to 10 Norway-bound refugees were members of the militant groups. The findings were discovered during background checks conducted by the agency. The migrants are part of the so-called “quota refugees” cleared by the UN High Commissioner for Refugees (UNHCR) for resettlement in Norway. The issue is particularly relevant at the moment, as the Norwegian Parliament is discussing how many more refugees Norway will accept from Syria. A majority are calling for 10,000 to be let into the country, although local governments say they cannot accommodate such a large number. Negotiations are underway, with a final decision expected later this month. 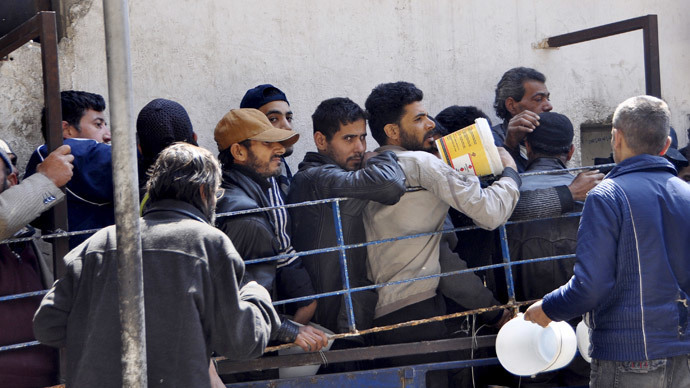 Around 5,000 refugees already in Norway are in asylum centers, awaiting housing. Both the Islamic State (IS, formerly ISIS/ISIL) and Nusra Front are engaged in fighting against forces loyal to Syrian President Bashar Assad. IS now controls large swathes of Iraq and Syria, and has ambitions to form a 'caliphate' in the Middle East. This is not the first time that concern has been raised regarding militants disguised as refugees. A Libyan government adviser said in May that Islamic State is smuggling “prize operatives” into Europe.